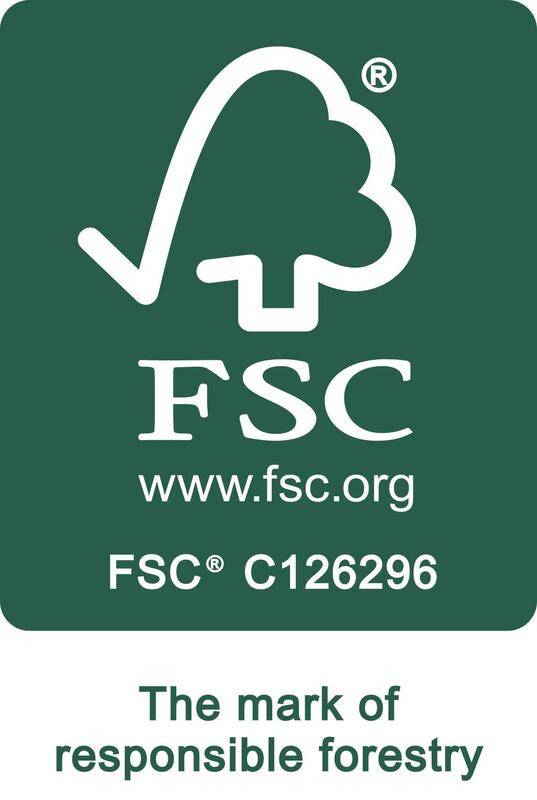 DRC Industries is a proud member of the Forest Stewardship Council®(FSC). FSC is an international certification and labeling system for paper and wood products that come from responsibly managed forests and verified recycled sources. Under FSC certification, forests are certified against a set of strict environmental and social standards, and fibre from certified forests is tracked all the way to the consumer through the chain of custody certification system. This means forests, pulp providers, manufacturers, mills, merchants, and printers must all obtain FSC Certification in order for a product to carry the FSC logo or label. The FSC system not only makes certain that virgin fibre used in a product is from a responsible source, but it also ensures the legitimacy of claims regarding the recycled content of products. DRC Industries holds an FSC Certification which is renewed every 5 years and undergoes an annual surveillance audit by the FSC-accredited certification body to verify our continued compliance with FSC certification requirements.